Integrity, honesty, compassion, and respect are the core values guiding venerable board-certified plastic surgeon Dr. Mark McClung. Those core values, combined with the goal of meeting or exceeding his patients’ expectations, are responsible for his stellar reputation among plastic surgery patients in Kansas City. If you’d like to book an appointment with Dr. McClung, call our office at (913) 451-3722. You can also request your consultation online. Along with his team of plastic surgeons in Kansas City, Dr. McClung has a philosophy that encourages careful listening and involving the patient in treatment planning. With attention to every detail, he offers safe, state-of-the-art, and cost-effective treatment solutions. He believes his secret to great results is accurate analysis and planning. His patients and staff say he is a true perfectionist who holds himself to the highest possible standard. 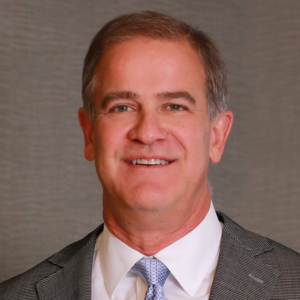 Dr. McClung received a Bachelor of Science degree in electrical and biomedical engineering from Southern Methodist University and his medical degree from the University of Texas, Southwestern Medical School. He completed his general surgery residency at the University of Kansas, followed by a plastic surgery residency at the University of Alabama at Birmingham. Dr. McClung completed a cosmetic surgery fellowship in Miami under the renowned plastic surgeons Tom Baker, M.D., Howard Gordon, M.D., and James Stuzin, M.D. Dr. McClung was recognized as one of Squire Magazine‘s Top Doctors in 1998, 2000, and 2002. He has consistently been named in “Super Doctors” since 2007.